The Side-By-Side has tons of flexibility. It can be unzipped to form two individual sleeping bags. It uses two layer construction to eliminate cold spots and is composed of Techloft+ Insulation. Techloft+ Insulation consists of multi-hole staple-length micro-denier fibers that have a siliconized finish for maximum insulation, loft, and compactness. 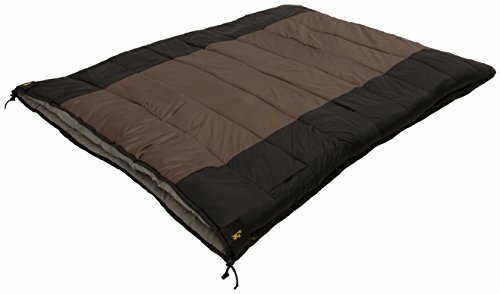 This sleeping bag series is great for camping or hunting when weather conditions are cold and you want to stay warm. Two zippered pockets keep small items handy. Browning #4859917.